For most parents across America, access to quality education for their children is a top priority. 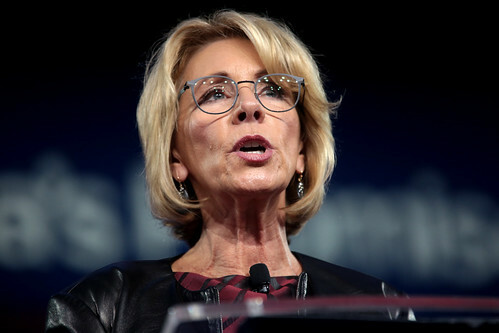 During a March 3 visit to Saint Andrew's School in Orlando, Secretary of Education Betsy DeVos reaffirmed her position that school choice is the solution to the fundamental problems of education in the United States. "Parents deserve the right to choose the education that is best for their child," she said. "Children should not be denied the right to attend a high-quality school that allows them to pursue the American Dream." Instead of focusing on policy solutions for children in subpar public schools, Secretary DeVos continues to insist that school choice is under attack. In reality, the U.S. Government Accountability Office reported that "from school years 2010-11 through 2014-15, the number of students participating in these private school programs grew from approximately 70,000 to 147,000 students." The funds provided for these students "increased substantially, from approximately $400 million to $859 million." With school choice on the rise, it seems that Secretary DeVos' argument is misguided and a distraction from substantive education improvement. Her visit to Saint Andrew's highlights how out of touch she is with legislation that she is responsible for overseeing. In 2016, Governor Rick Scott pioneered House Bill 7029, a measure that implemented statewide school choice across Florida. In her press release, Secretary DeVos stated that school choice has a "transformative and positive impact" on student development. Though she is correct about the effect of private schools like Saint Andrew's, she fails to acknowledge that House Bill 7029 has largely been used to help students move from one public school to another. This is primarily because many students still cannot afford private school, even with vouchers. At Saint Andrew's, a Florida voucher worth $5,000 covers less than 20% of the total $26,910 annual tuition expense for an elementary-school student. In other words, she seems to confuse the terms "school choice" and "private school." In reality, school choice means being transferred from one public school to another, as shown in Florida. Saint Andrew's is a K-12 private school, which boasts students from over 40 countries and an 8:1 student-to-faculty ratio. No public school in Florida fares nearly as well. Even so, public school is the only feasible option for most families, school choice or not. Secretary DeVos cited Florida student Denisha Merriweather, a young woman "who was able to attend a private school when her public school did not meet her needs." She uses Merriweather to explain how school choice is valuable, but conveniently omits how Merriweather was one of few to benefit from the Florida Tax Credit Scholarship Program. The Florida Tax Credit Scholarship Program only distributes scholarships for students who meet very specific criteria, catering primarily to extreme cases like Merriweather's. The primary recipients are students placed in foster care and students with a "household income level that does not exceed 260 percent of the federal poverty level." To put this in perspective, a regular family of four with a household income of $65,000 makes too much money to be eligible for the program. For the average family in Florida, this program serves virtually no benefit. At Saint Andrew's, the $55,700 tuition for high school boarding students exceeds the average $47,507 annual household income for Floridians. Even if parents are able to "choose" this school for their child, how will they "choose" to pay for it? School choice is great for the small percentage who have the financial means to afford a top-notch education. For everyone else, school choice poses more problems than it is worth. 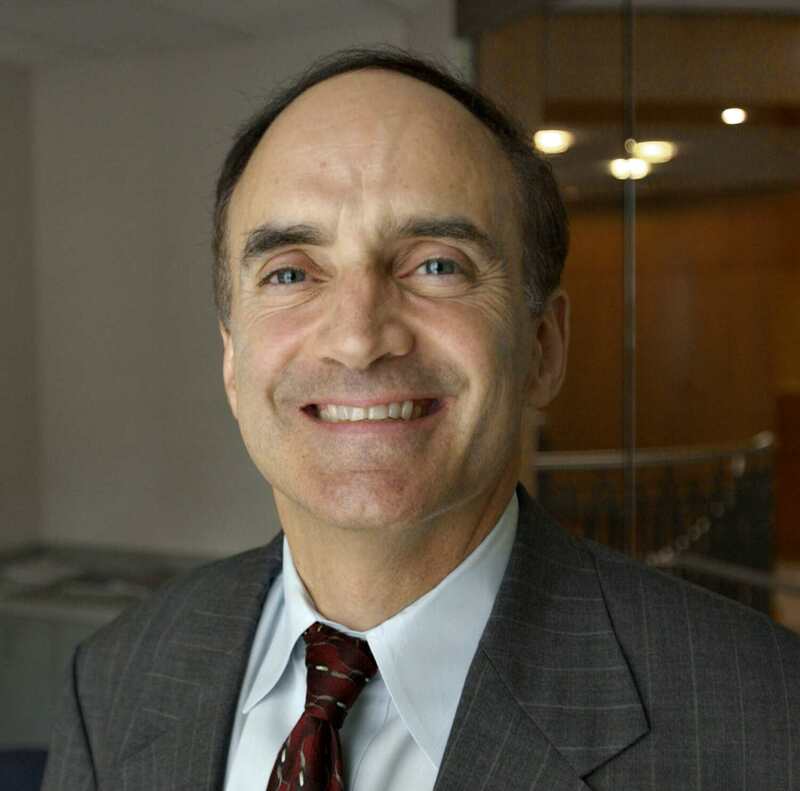 Robert Weiner is a former spokesman for the Clinton White House and House Government Operations Committee. Ryan Powers is education policy analyst at Robert Weiner Associates and Solutions for Change. The "elephant in the room" being ignored is the Federal Government's (read political-liberal Democrats) insistence that local control and funding of schools equals racism. Americans are local. We are diverse and tend to seek communities we feel comfortable in. Adopting the attitude that we should be global citizens is injurious. Schools should reflect local norms when teaching universal facts. Spelling, math and history has not changed. The big government liberals would like us to believe there's more new learning needed at the expense of how we used to be educated. I disagree. I know what LEARNING LOOKS LIKE, after 40 years of teaching. When my practice was selected as the NYC cohort for the Pew research on the Principle of Learning (Resnick, at Harvard thesis)I went to the seminars by the LRDC from the Univ. of Pittsburgh who came into the 12 school districts that were in the study. The very first day, and throughout the 2 years I was the cohort, the phrase "what learning looks like" was the core, the crux of the PRINCIPLES of LEARNING, which the teams were observing in the classrooms of 20,000 teachers. In the end, I was one of six teachers studied. They said that all the principles of learning were met, and that was why the 7th grade students at my school, excelled in reading and writing, and THAT, was what learning looked like. My work toured the nation. ... but by then, I was in a rubber room, fighting for my career, as the national conversation moved from one about learning to one about testing and 'teaching'...thanks to Bush and the NCLB act, and they came after the experienced practitioners who would not use the common core crap. Episode 31talks about how the top high schools in every district, in every city, were defunded to the point that all the best programs were gone, and the schools failed. So glad to see you writing here about education. I have been writing about education here, for many years . Let me be very clear about this: in 1998 I was a celebrated NYC teacher, at the top of a forty year career, in my eighth year teaching the entire seventh grade at a new magnet school on the east side of Manhattan. That year, I was (NYSEC's ) NYS English Council's "Educator of Excellence"! My practice was selected as the NYC cohort for the Pew research on the Principle of Learning (Resnick, at Harvard thesis). But, the assault on teachers had begun! Go to my author's page where this essay describing the scandalous deprivation of civil rights which happened to me (and thousands of other wonderful teachers) when the UFT abandoned me -- as it had abandoned tens of thousands of tenured, experienced teachers in NYC. Fake News began the rant to demonize our schools, 2 decades ago when they saw simple ploy to cause failure...take out the professional practitioner. Target the teachers ! I wrote "Magic Elixir," almost 2 decades ago, based on Daniel Willingham's claim that in education, no evidence is required....but then , after listening to the GOP debates by people who would run our country, liars and charlatans are at the top of our nation. I wroteBamboozle Them, long before our newest con artist, Betsy Devos, came along. I know Diane Ravitch for more than a decade now. Here isa link to all of her posts on Betsy Devos. "The "elephant in the room" being ignored is the Federal Government's (read political-liberal Democrats) insistence that local control and funding of schools equals racism." Please provide at least one factual example. I suspect no "factual example" from me would suffice for you. Rely on your " Extensive writing and editing experience". I am copying this, here again ...it is so relevant and improtant...listen to the podcasts but watch he documentary!!! Episode 31 talks about how the top high schools in every district, in every city, were defunded to the point that all the best programs were gone, and the schools failed.